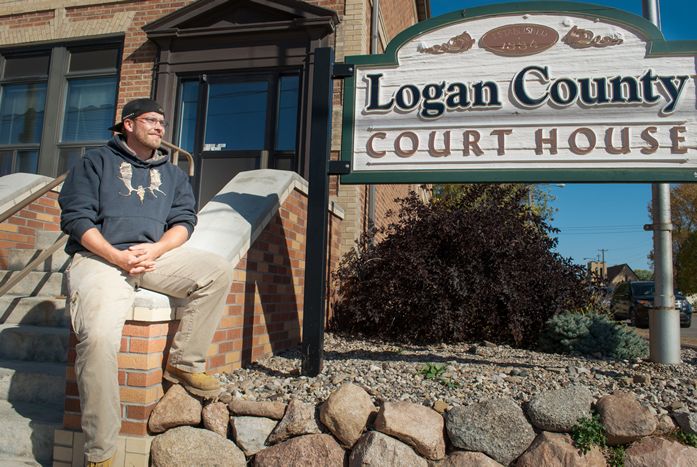 Frustrated and fatigued, Chase Anderson sits outside the Logan County Sheriff’s Office in Napoleon North Dakota after having met with investigators from both Logan County and the Bureau of Criminal Investigation. When I speak with Chase Anderson outside of the Logan County Courthouse, it is just days before the expected birth of his daughter. Chase Anderson seems eager and mentally prepared to take on all the responsibilities of fatherhood. Minnesota born, now a resident of Wisconsin, Chase is 25 years old and he has spent a considerable portion of his life running from his own demons. But he seems to be done running now. Today he willingly travelled from his home in Wisconsin, to an area of North Dakota that certainly does nothing but kick up dusty and dark feelings of anxiousness and sadness for him. 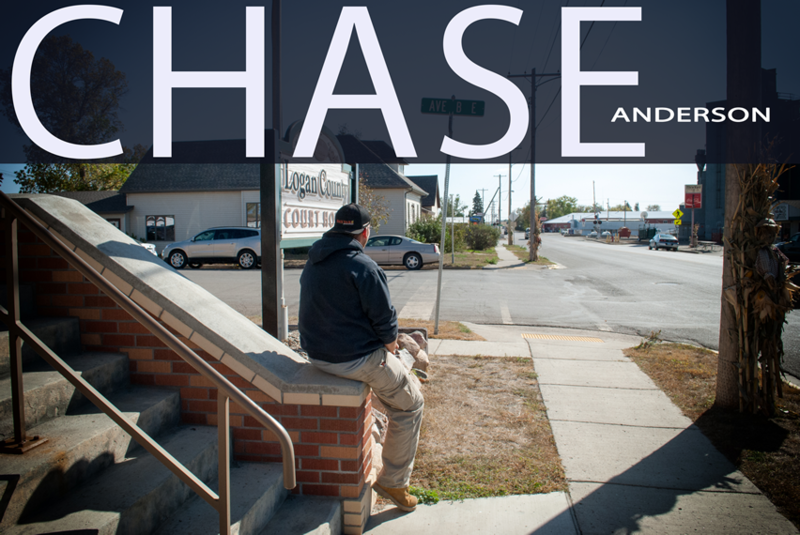 Chase is searching for answers to what happened to his father, Robert Anderson who disappeared 22 years ago from Wishek North Dakota. When conversing with Chase Anderson you sometimes get the feeling that you are speaking to a much older man. If not older, then at least a man wiser than his age. The term ‘street smart’ comes to mind here and there is a reason for it. His demons are still definitely lurking but Chase has cut himself a deal. No more self medication. No more hiding from the hurt and most important to him it seems, no more blaming his upbringing. And in return, Chase seems to have promised himself to be accountable for his own happiness. The excellent return on this investment is obvious when you meet him in person. 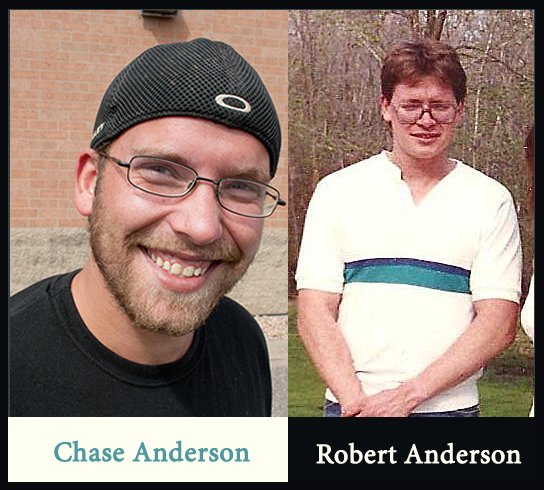 Chase was three years old when Robert Anderson and Kristin Diede took that fateful trip to Wishek in August of 1993. Chase’s parents had just divorced and Chase and his sister lived with their mother. Kristin Diede was in the middle of a divorce herself. Exactly how Kristin Diede and Robert Anderson met and precisely what kind of relationship they had is not clear, but what we do know is that, at some point, Kristin and Robert planned a quick trip with her kids to Wishek North Dakota, her hometown. They packed up Robert’s Dodge van, drove west and ultimately Robert and Kristin were never seen again. And just like that, Chase Anderson became a boy who would never know his father. Chase Anderson 2015 and his father Robert Anderson in a photo taken around 1990. Chase Anderson is dedicated to finding out the truth about what happened to his own father. Today, Chase refuses to blame anything on the fact that his father has been absent. Determined now to stay accountable, he at first shrugs off my suggestion that his previous struggles with addiction might have been an attempt to fill the void his father left. He is done with any sort of blame-game. But he is also wise enough not to reject the idea entirely. In whatever way the disappearance of his father may have affected him, one thing is certain, he wants answers. “I called Kristin Diede’s, or Valerie Goebel’s mother in Wishek and talked to her. But she didn’t want to have anything to do with it this at all, she was not helpful in any way”. Chase’s own 2008 investigation stalled out. Chase’s life got in the way. But he never let go of his desire to get answers. When asked recently if he thought he would ever find out what happened to his father, he speaks up with no hesitation; “I will never stop looking until I find out what happened to him”. Now, ready to be a parent, Chase is back on top of his game and he is hunting down his demons instead of running from them. He is giving the investigation another shot. And his Aunts and Uncles (Robert Anderson’s siblings) are helping him. On September 30th , 2015, the Andersons travelled from the Twin Cities to Napoleon, North Dakota where they met with investigators from the Logan County Sheriff department and with a special agent from the North Dakota bureau of investigation. The BCI still considers this to be an open and ongoing investigation. I find Chase perched on a cement step outside the Logan County Courthouse. He has excused himself from the meeting for just a few minutes. He might just need a hit of nicotine (his last vice) but his frustration is tangible. It turns out that the realities of dealing with law enforcement working on an open case can be frustrating. Often for good reason, investigators keep a great deal of information confidential. For someone in Chase Anderson’s situation, sitting across the table from a three-ring binder full of confidential details can feel like torture. One effort both kristinjoydiede.com and the Anderson family have been making is to put together a time line of Diede and Anderson’s movements in Wishek that weekend. It has turned out to be a challenge but Chase Anderson and the rest of the Anderson family are dedicated to keep up the quest for answers. Chase Anderson, just days before becoming a parent himself, is determined to find out what happened to the father he never really knew. * * * I made a follow up phone call to Wes Meidinger on September 30th, 2015 and informed him of the discrepancy between his version of his interaction with Diede and Anderson and the version the Anderson family were given on that day in Napoleon, ND. Trooper Meidinger reassured me that he met both Kristin Joy Diede and Robert Michael Anderson. His full account may be read here. Next Next post: THE VAN – did you see this vehicle?